ONE of the mothers who gave birth to a baby with microcephaly in 2017, recently received the permission of a High Court judge to challenge the refusal of the Health Ministry to provide her with information. 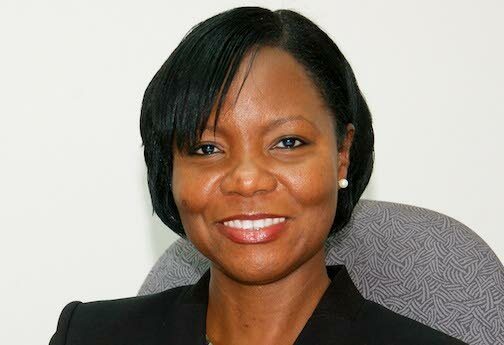 Justice Jacqueline Wilson, in a ruling at the San Fernando High Court, in June, granted the mother of the child, born on February 3, 2017, with permission to pursue her judicial review claim against the ministry. In 2017, there were four confirmed births of babies with microcephaly. The ministry said then two of the mothers tested positive for the zika virus, the cause of the microcephaly, during the course of their pregnancies. In her application, the mother of the child said she sought information under the Freedom of Information Act (FOIA)on the national policy on the Zika Virus and Pregnancy, particularly the guidelines set and the management of affected fetus and neonatal information for health care providers. She also asked for information relating to a letter to the chief medical officer (CMOH) on suggestions during the Zika epidemic, the letter to the CMOH requesting guidance on the management of pregnant women with Zika with fetal abnormalities detected after 26 weeks and the Pan American Health Organisation report on the state of obstetric sonography in TT hand delivered to the Minister of Health. The ministry responded in March, to the request sent to them by the mother’s lawyers Alvin Ramroop and Kingsley Walesby. The ministry said the mother was entitled to policy documents, provided they were final documents, and provided the dates on which the letters and report were delivered to the CMOH and the minister. When the lawyers heard nothing more from the ministry, they filed for judicial review. The ministry informed the judge that the policy documents could not be provided since they were draft documents while the letter and report to the CMOH and the minister were not in its possession. The ministry’s attorneys also submitted that the information sought fell short of the requirements of the FOIA for disclosure, and were exempted. In her ruling, Wilson said in denying access to the policy documents, the ministry was required, not merely to recite the provisions of the statutory exemptions on which it relied, but to give reasons for which the exemptions were invoked, and to identify the public interest considerations that led to the refusal. She also said the ministry failed to give detail on whether the letter and report to the CMOH and the minister did not exist or could not be found, nor was the mother told of her right to complain to the Ombudsman. Wilson ruled that the mother had an arguable case with a realistic prospect of success and granted her permission to pursue her case against the ministry. ONE of the mothers who gave birth to a baby with microcephaly in 2017, has received the permission of a High Court judge to challenge the refusal of the Health Ministry to provide her with information. Justice Jacqueline Wilson granted permission in a ruling at the San Fernando High Court. The child was born on February 3, 2017. Reply to "Mother of Zika baby takes Health Ministry to court"